Samsung Champ Deluxe Duos C3312 Smartphone Price India Rs. 4,200. 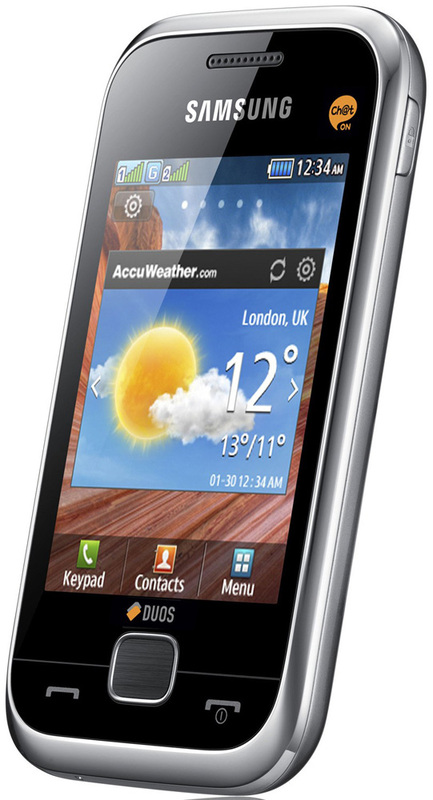 Samsung Introduces its latest dual sim touch screen smartphone, Samsung Deluxe C3312. Its features are Dual Sim, 2.8 Inch Touchscreen, Screen Resolutions 320 x 240 pixels, 1.3 MP Camera, internal memory 30 MB, Expandable Memory upto 16GB, Weight 95gm, Dimensions 101.8 x 55 x 12.1 mm. - Talk Time: Upto 16 hrs.